Aligned to Common Core Standards. 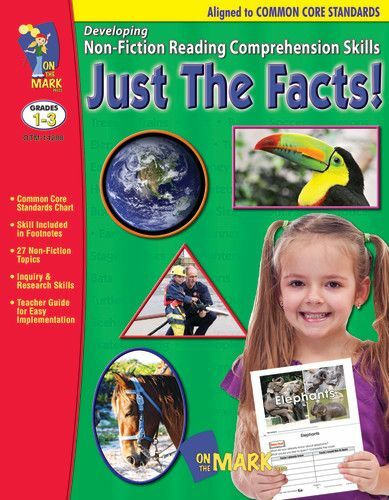 A Common Core Standards chart is located on page 2, identifying standards covered. The page numbers are noted for easy access. Most of the reading that we do in real life is non-fiction although most classroom programs focus mainly on reading fiction materials. 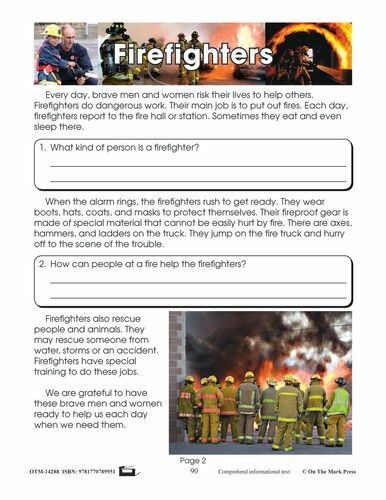 Correct this imbalance and incorporate the 27 non-fiction stories found in this resource to develop and strengthen inquiry and research skills. The ability to read and understand non-fiction is a vital skill for young children as they progress toward inquiry skills and research. The three levels of reading material allows students who are below, at, or above grade level to participate in the activities. 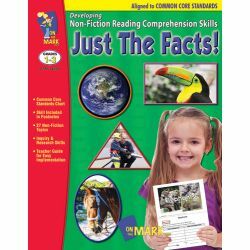 Each subject area covers the following reading format: Before I Read which develops reasoning, critical thinking skills, and vocabulary development skills to be used prior to reading the passage. While I Read which develops comprehension, analysis, application, and critical thinking skills during the reading of the passage. After I Read which focuses on comprehension, summary, and evaluation skills after the passage has been read. 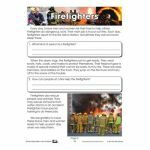 Story topics include: Soccer, Elephants, Hang Gliding, Skateboarding, Giant Pandas and Firefighters. 96 pages.